They happen at least once a week. 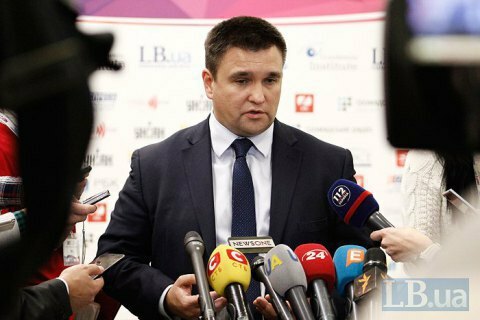 Ukrainian Foreign Minister Pavlo Klimkin has said that the Foreign Ministry comes under at least one cyber attack every week, and such a threat is not exclusively Ukrainian, but requires serious attitude and readiness in all European states. "We have at least one cyber attack per week only in our ministry," he said, speaking at the Warsaw Security Forum on Wednesday. The head of the Ukrainian Foreign Ministry expressed conviction that, in the sense of protecting critical infrastructure, it requires from specialized structures and departments of both Ukraine and other European countries to be in constant readiness for cyber attacks. "Imagine what will happen if the light disappears in the city five days before the elections. This is a big problem," Klimkin said.